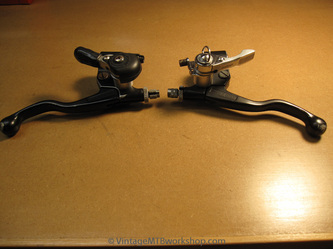 This project replicated an integrated brake lever and shifter arrangement pioneered by Steve Potts and Mark Slate of Wilderness Trail Bikes. 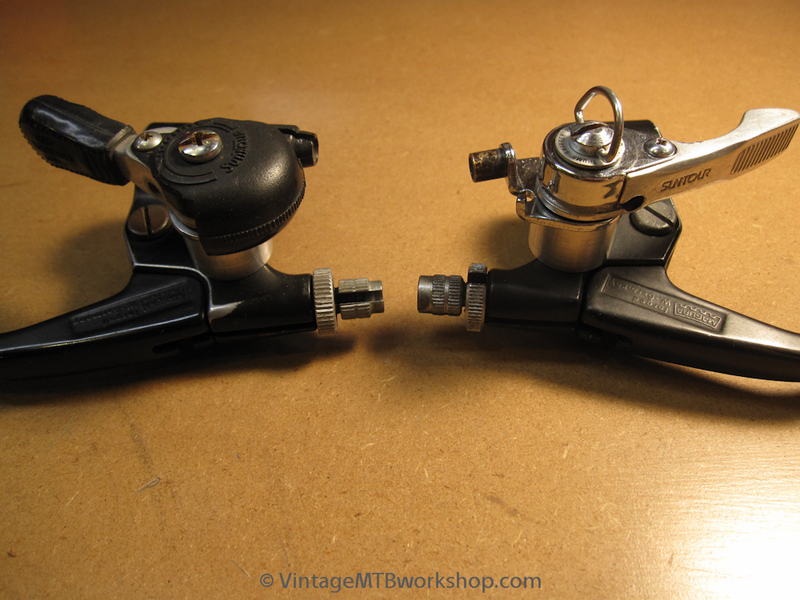 The brake levers are shorty Magura motorcycle and the shifters are early Suntour Mighty Click or Power thumbshifters. The end result is very ergonomic and saves space on the handlebar.